Q. I want to start preserving foods with a dehydrator, but I’m not sure which one to get. Which one do you use? 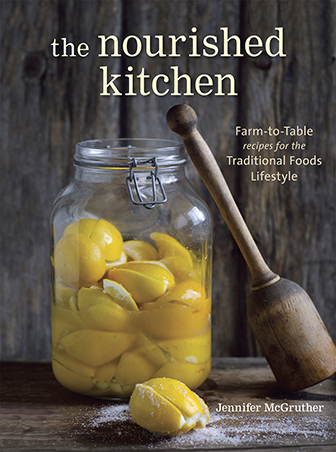 – Renee M.
Like many of you, I spend a fair amount of time preserving the summer harvest so we can enjoy local and organic foods year-round, well into the snowy months of winter. This means that when our CSA is bustling with mountains of tomatoes and other vegetables, I spend a lot of time chopping, salting, fermenting and, of course, drying them. Several years ago, when we had very little money but wanted to commit to preserving foods at home, I picked up a small round, Nesco Snack Master dehydrator at a garage sale for 75 cents, except that ours was a very old model (which is why it cost us 75 cents). I used it for a season or two, but it had its drawbacks and eventually we saved up enough money to purchase a 9-tray Excalibur Dehydrator that I absolutely love. It’s a bit bulky sitting on the countertop, but I use it heavily in the summertime when I make green veggie powder, dried tomatoes, dried fruit chips, breadcrumbs, and fruit leathers. I also remove the trays and use it to help bread rise, and for yogurt making because it keeps a nice, even temperature. My Model: The 9-Tray Excalibur with Timer: You can check out many Excalibur Dehydrators here (including my model). It’ll set you back about $300, but they’re long-lasting and worth it, especially if you use it, like I do, to prepare many different foods. In addition to making my model (the 9-tray with timer), Excalibur makes a wide variety of dehydrators for a wide variety of budgets. Newer models include features like clear doors (which would make them much more attractive in the kitchen), and more attractive copper or stainless steel exterior. These larger dehydrators offer more exact timing, and temperature control which is critical to producing the best product. Where to Find Excalibur Dehydrators: You can check out many Excalibur Dehydrators here direct from the source. They run about $150 to $1,000. So there’s a lot of variety there. For those of you who have more lenient and generous budgets, or for those of you who wish to avoid plastic as much as possible, you can always invest in a stainless steel dehydrator (like this one). Stainless steel dehydrators are gorgeous pieces of equipment, and well-built. Like my Excalibur, they can be used not only to dehydrate foods, but also to help breads to rise, and to make yogurt as well by removing the trays. Where to Find Stainless Steel Dehydrators: Stainless steel dehydrators are gorgeous, but pricy beasts. They’ll set you back about $429 for small 5-tray versions and $563 for the larger 10-tray model. You can order them here. And FYI: a 10-tray stainless steel Excalibur dehydrator will set you back $999, so maybe $429 isn’t so bad after all? 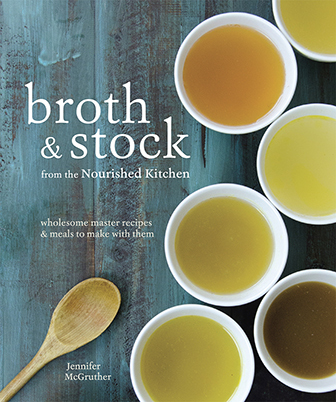 If you’re on a limited budget, like I was when I first started preserving foods, there’s many less expensive options for you to consider. Among these are Nesco Snackmasters and Presto Dehydrators. They’re good, cheap options for beginners; however, they tend to run hot, meaning that the temperature controls are inexact in many of these least expensive models. Because of the way they’re structured (with round, stacking trays) they’re limited to simply drying foods like greens, fruits, vegetables and meats for jerky. So you won’t be able to make yogurts in them or use them to raise your bread. Where to Find Budget-Friendly Dehydrators: You can find Nesco Snackmasters and Presto Dehydrators online, and their prices hover around $40 to $75, give or take. You might also be lucky, like we were, and find one at a garage sale or thrift store for a steal. So, I know the minimalists among you will coo about how you don’t need a dehydrator at all, and that you just use your oven and it “works just fine.” And that’s all well and good, but let me tell you why don’t care for using my oven to dehydrate foods. When you dehydrate foods, you’re after precision. Many ovens are imprecise or suffer from hot and cold spots (for instance, my oven always runs hot on the left side). Most ovens also don’t offer a temperature low enough to properly dehydrate foods, and, instead, you end up cooking your foods until they’re dried out. As a result, foods dried in the oven run the risk of losing far more vitamins than they would if they were dried in proper equipment. Drying foods also takes a long time – several hours and up to a full day – which is a long time to keep your oven on. Oven-drying is typically less energy efficient than using a dehydrator. In addition to simply drying fruits, vegetables and herbs to preserve them, you can make many other foods in a dehydrator. Among my favorite are my Green Veggie Powder and Mis0 and Garlic Kale Chips. I also use it to make Beef Jerky, and fruit leathers. I use it to help my homemade bread rise faster, and to keep an even, low temperature for when I make my homemade raw milk yogurt. I also use it when I dry grains after sprouting them to make sprouted grain flour, and when I want to dry nuts after having soaked them. Cara over at Health Home and Happiness offers up some other ingenious ways to use your dehydrator here. I’ve answered questions on Stevia and Agave Nectar, and answer reader questions that come in through email from time to time. You can email questions@nourishedkitchen.com with your question, and I’ll do my best to post the answer when I have the opportunity. This post contains affiliate and referral links. Photo Credit. I’m like you, I started out with a Nesco (which I had no problem with), but is planning to upgrade to an Excalibur for the fact that if you have bulky items (like kale), you can space the trays apart for more vertical space. I just entered an excalibur giveaway so I hope I win one. 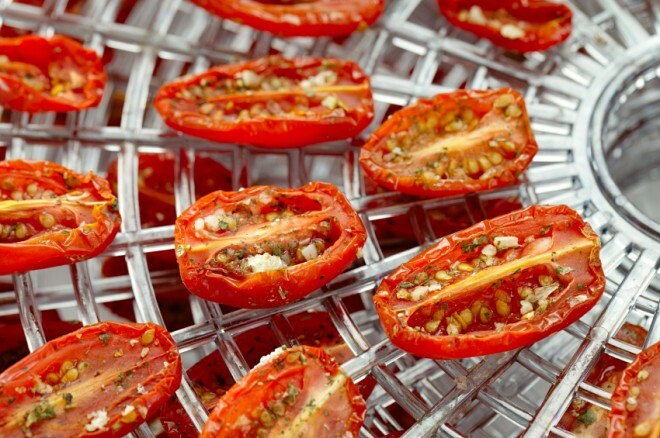 How do you dry your tomatoes as shown in the photo above? While those tomatoes aren’t mine, I’ve made similar. Those are just cherry tomatoes cut in half and salted and herbed. You can make “sun dried” tomatoes in any dehydrator, and they’ll be better then any you could ever buy at a store. I cut them in half lengthwise, dip the cut half into an herb salt mix spread out on a plate and lay them cut side up on the dehydrator trays. I have a 9 tray excalibur and highly recommend them. The drying is very even and it is a breeze to use. I can’t get the link for Green Veggie powder to work either… only a disclaimer comes up! Any advantage of the Excalibur 10 tray stainless steel over the other stainless steel 10 tray model you have linked for half the cost?! I love my Excalibur 9-tray! I had wanted one forever and finally received it as an anniversary present from my husband, last year. 🙂 One thing about ours – I like to put it on the back porch on a little table set up out there, so that it doesn’t heat up the kitchen. We hunt venison so make a lot of jerky in it, which requires the highest temp and run time. My hubby even ran an electrical outlet out to the porch so I didn’t have to use an extension cord. In the fall, I move it into my greenhouse so that the surplus heat radiates to warm it up out there (we live in Montana). It dusts/cleans up easily and the food is always secure inside, so no worries about bugs. We also use ours to make backpack-ready dehydrated meals. One trick for easily rehydrated meat is to add bread crumbs or oatmeal (you can do GF if gluten is a problem) to hamburger while you’re cooking it (and seasonings of course), then dehydrate, then pulse it a few times in a food processor or blender to chop it up a bit. It will then rehydrate easily on the trail. In addition to beef, we dehydrate venison, chicken and rabbit. TJ, I’m trying to look for recipes now to dehydrate food for a 23 day hike. I’m not having good luck. Where did you find yours? I need all the hell I can get, thank you. Would you know how much electricity does your 9 tray use? I would agree that a dehydrator is an excellent tool for harvesting and preserving. I have an Excalibur and have been very happy with it, though the price tag is hefty. Thanks so much for all the great links! Can you recommend a good book or resource on how to properly dehydrate and store different foods? I really don’t think you can go wrong with a Nesco food dehydrator with a top mounted fan. I have owned several dehydrators, from department store no-name brands to my current Nesco FD-60. I also have a lot of accessories for my dehydrator. If my FD-60 ever goes bad, I know that I can reuse my investment in what I have purchased, –I can get another FD-60. By far the best under $100 food dryers there is!